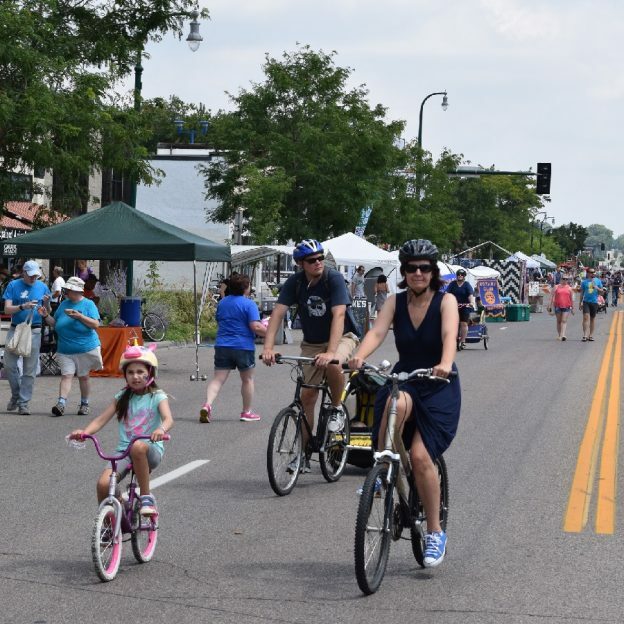 A bike friendly day, here a family enjoys riding along Lakes Street at last years Open Streets Minneapolis event. See more on the Open Streets Minneapolis event on East Lake Street, July 26th 2016. 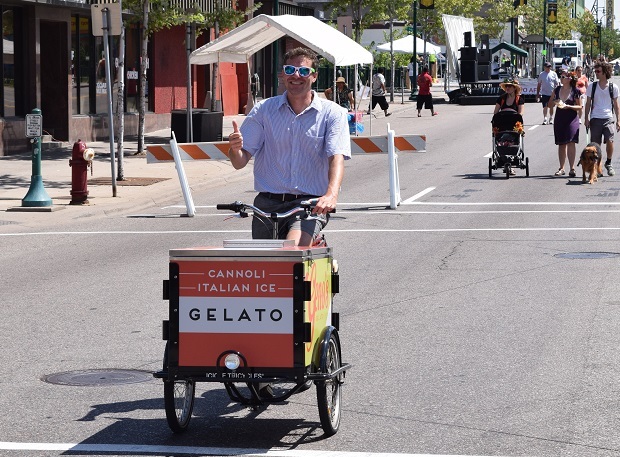 This entry was posted in News, Picture of the Day and tagged #onlyinMN, community bike event, East Lake Street, Find your next adventure, Open Streets Minneapolis on July 5, 2016 by Russ Lowthian. 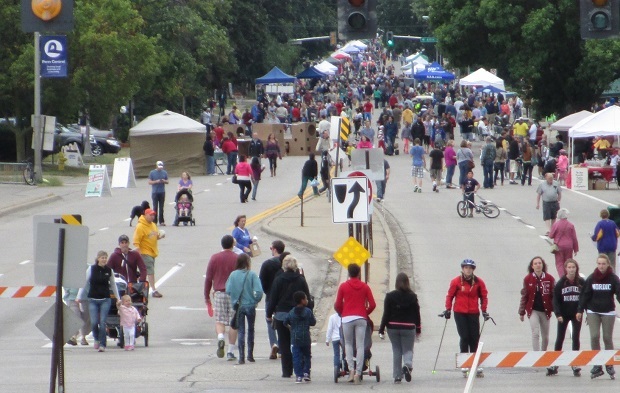 Now in its 7th year, Open Streets at Penn Fest, in Richfield, MN is on Sunday, September 20th from noon to 4 p.m. and promises to be the bigger and better than ever. With Penn Avenue closed all the way from 76th Street to the Crosstown (Hwy 62) thousands of people will be strolling the “Avenue”! Area businesses, crafters, flea market vendors and community groups will be on the street highlighting their wares and/or promoting their services. 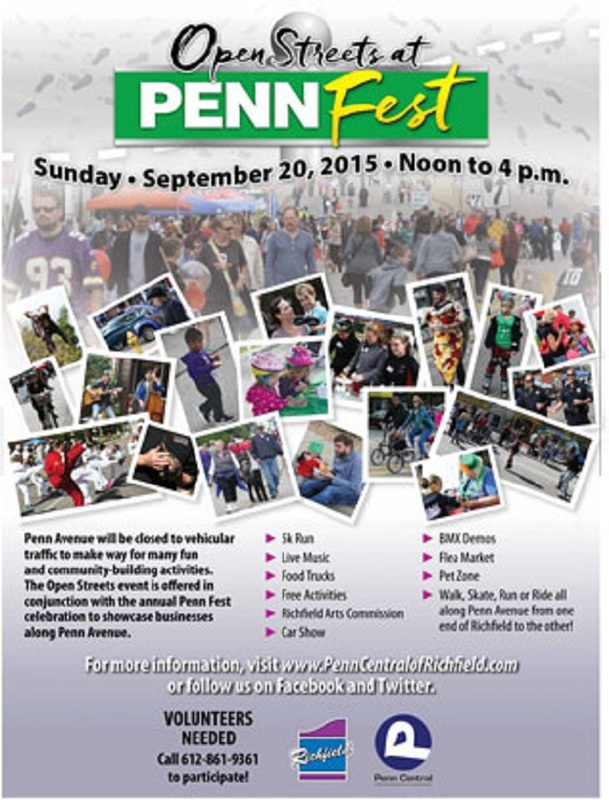 Join in on the excitement and the opportunity that will be created by the all the actively on the “ Penn Avenue”. Highlights of this years event, that encourages healthy living and sustainable transportation, will include various bike related venues. Fellow bicycle advocates will be staging a bike rodeo. Expect race competition between the surreys of Wheel Fun Rentals, a Pedal Pub, the pedicabs. Plus, the library and the historical society have been persuaded to have costumed riders on bikes with a trailer “pedaling” their respective books. Penn Cycle will again sponsor multiple performances by the BMX stunt cyclists. 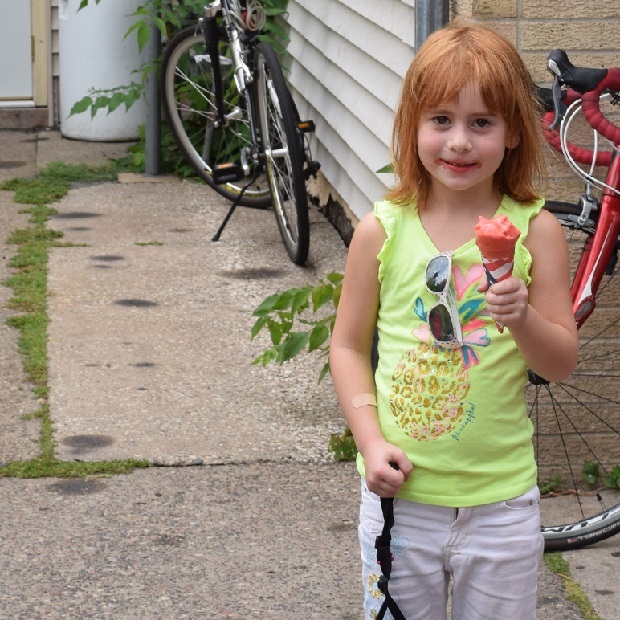 This entry was posted in News and tagged community bike event, Open Streets event on August 31, 2015 by Russ Lowthian.